Home » Cot Bed Tour! Daniel’s nursery had some good lighting in today through the windows and I decided to do a little cot bed tour! 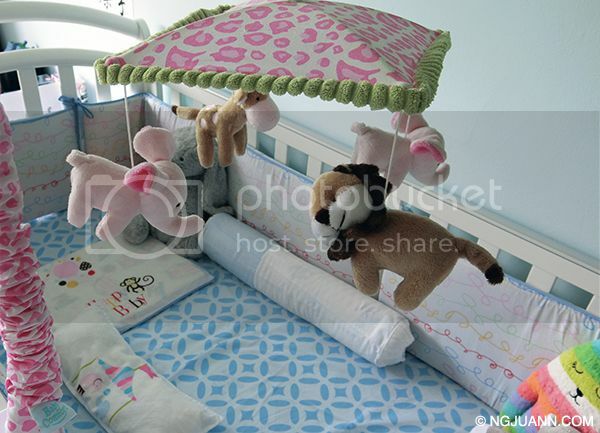 :) Here’s how our cot bed looks like! 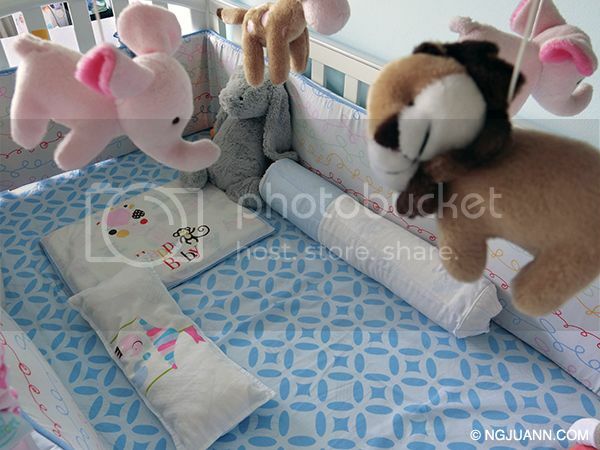 Cot bumpers are from the Home Sweet Home range, Bambeanie Pillow Cover is from the Ellie range, Infant Pillow Cover is from the Happy Monkey range, the Mattress Cover is from the Night Hour range, and the Bolster Cover is from the Classic Dots range. Yes I got a piece from every range and pieced it altogether! 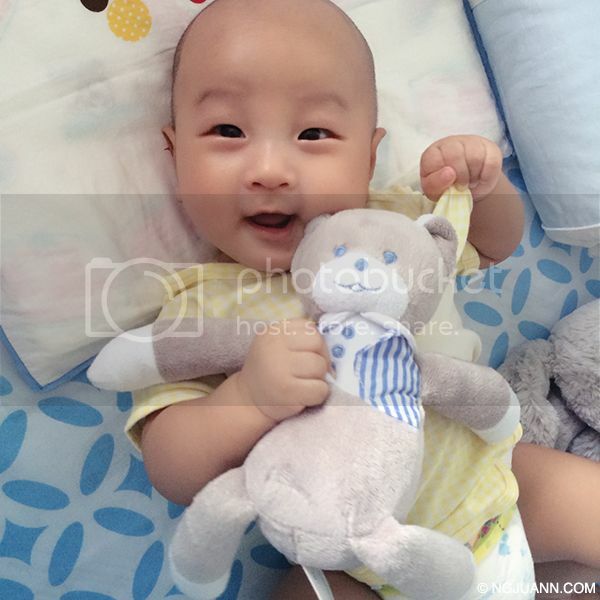 Daniel loves the Mustela gift bear we got from the recent Mustela X Spring Maternity event we went to. I think it’s the right size for him to grab onto at this age. Oh we also got these beautiful cot skirtings custom made to match our range of Babysafe beddings. :) Me thinks it fits very well into the whole colour theme of #project nursery and I can hide heaps of stuff under the cot bed too lol! 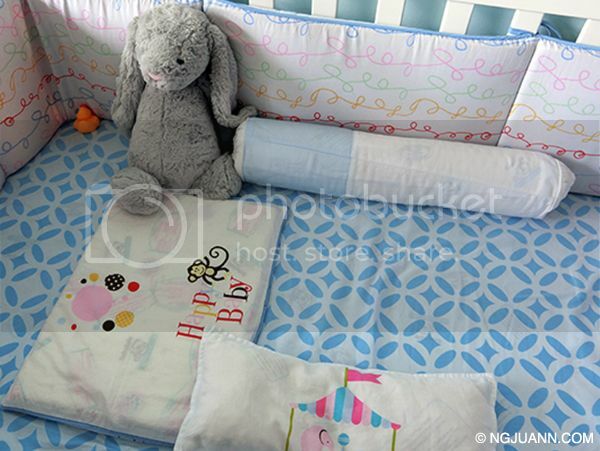 2) All our beddings are from the Babysafe brand. Details here.